Pioneers in the industry, we offer synthetic juice plant, hot juice filling machine, natural juice filling machine, automatic juice filling machine, synthetic juice filling machine and pet bottle juice packaging plant from India. The process of making Synthetic Juice is quite simple. First, sugar syrup is made with the jacketed mixing tank from the sugar granules. Then this sugar syrup is mixed up with water, synthetic juice flavors, colors, preservatives etc. 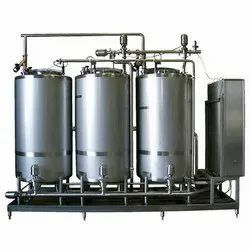 in the other mixing tank for some time and once juice gets ready, it is stored in the storage tank and thereafter it is packed in the suitable packing with the help of packing machine. We are offering Hot Juice Filling Machine to our clients. 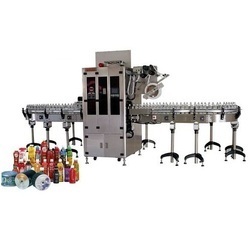 Pet Bottle Rinsing, Filling & Capping Machine is based on an automatic process that takes care of processes involving Pet Bottle Rinsing, Filling, Capping. Coming with label shrink tunnels, these are suitable for bottles like sauce, beverage water, vinegar as well as other liquids in film packages. The machine can be made for hot-fill products or cold fill carbonated drinks. Cap elevator with a hopper for automatic applying of caps. 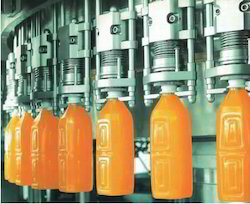 We are the manufacturer of Natural Juice Filling Machine in Glass as well as Pet Bottles, We are providing a complete solution with the latest Technology and Advanced Features. Please do contact us for further information about our products. We are manufacturing of a wide range of Automatic Juice Filling Machine, packaging machines, automatic/semi-automatic forming, filling, sealing and capping machines. Manufactured using high-grade raw materials and utilizing innovative production techniques. 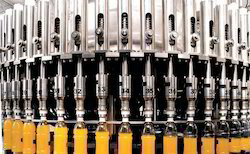 We are the manufacturer of Fully Automatic Synthetic Juice Filling Machine with complete solutions comprises of Rinsing Filling and Capping. We provide complete solution of Packaging with Latest Technology and Advance Features. Please do contact us for further information about our products. 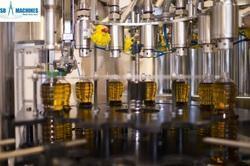 We are the manufacturer of complete PET Bottle Juice Packaging Plant for all type of Non-Carbonated Juices. Please do contact us for further information about projects. 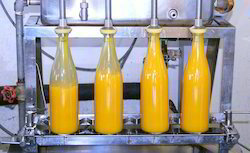 We are the manufacturer of complete Mango Juice Filling Machine. We have customized solution for Packaging of Juice in Pet Bottles. Our Machine is robust construction with cost competitive advantages please do contact us for further information on our products. We have complete allegiance in offering modern day, Juice Plant. 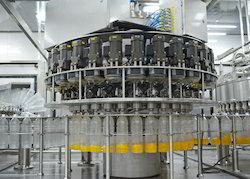 The bottling line is designed for efficient performance in filling. 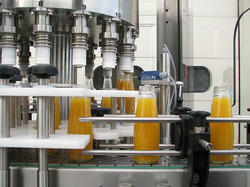 We are manufacturing of Fruit Juice Filling Machine with Complete Automation of Rinsing Filling and Capping Technology. 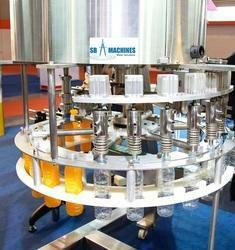 This Machine is having advanced features for Rinsing Filling and Capping of Bottles. We have supplied this machine to Saudi Arabia, Turkey, Jordan, South Africa, Nigeria, and Egypt. Please do contact us for further information about products. We are manufacturing Juice Filling Machine for filling having accuracy of +/-2% and exported to Iran, Pakistan, Nigeria, and Uganda. Please do contact us for further details. We are a manufacturer of Juice Filling Machine with Advance Technology and Futuristic Automation. We are the manufacturer of Hot Juice Filling and Packaging Machinery with Advance Features and Cost Effective Solutions. Complete operation is done through PLC. 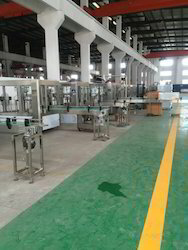 We are the manufacturer of Semi-Automatic Mango Juice Packaging Machinery for Beginners. 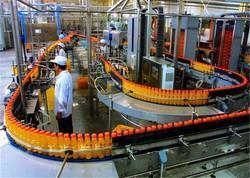 This machine is having an output speed of 1000 Bottles Per Hour. Please do contact us for further information about our products. We are the manufacturer of Orange Juice Filling Machine with all latest and advanced features with most competitive price. 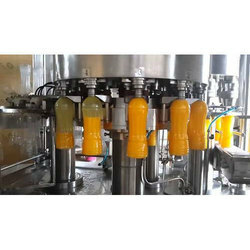 We offer our clients an optimum quality range of Hot Filling Juice PET Bottling Machine which is manufactured using the best grade components and advanced. This machine finds its best usage for bottling hot filling drink such as milk, ice Tea drink etc. in PET bottles. Owing to its superior functionality and minimum maintenance features, this machine is widely demanded by our clients. Furthermore, to ensure the optimum performance, the provided machine is rigorously tested by our quality controllers on different quality parameters. This is high standard advance touch screen PLC base rotary pet bottles rinsing filling capping machine. This machine mainly used for washing, filling and capping of hot filling drink such as mineral water, milk, ice tea, fruit pulp base juice and so on. The machine design shortens the time for the packaging of pet bottle, outside contamination and increased the sanitation condition throughout the machine and economical too. It adopts the neck holding type conveying-bottle structure to make changing bottle model more convenient, faster and easier. The main machine adopts advanced PLC control technology with gravity filling systems and valves for the hot filling drink. We are manufacturer of CIP Tank Clean-in-Place (CIP) is a method of cleaning the interior surfaces of pipes, vessels, process equipment, filters and associated fittings, without disassembly.The benefit to industries that use CIP is that the cleaning is faster, less labor intensive and more repeatable, and poses less of a chemical exposure risk Cleaning-in-Place pays for itself When fouling occurs, an Our CIP system enables quick and easy in-line cleaning of heat exchangers and high-speed separators without dismantling your equipment. In addition, Alfa Laval can engineer a custom CIP solution to meet your specific requirements, such as a very large heat exchanger installation or hazardous areas that require explosion-proof equipment. Reduced operating costs By eliminating the repeated and unnecessary opening of your equipment, you drastically reduce both spare parts consumption and the number of man-hours required for cleaning.